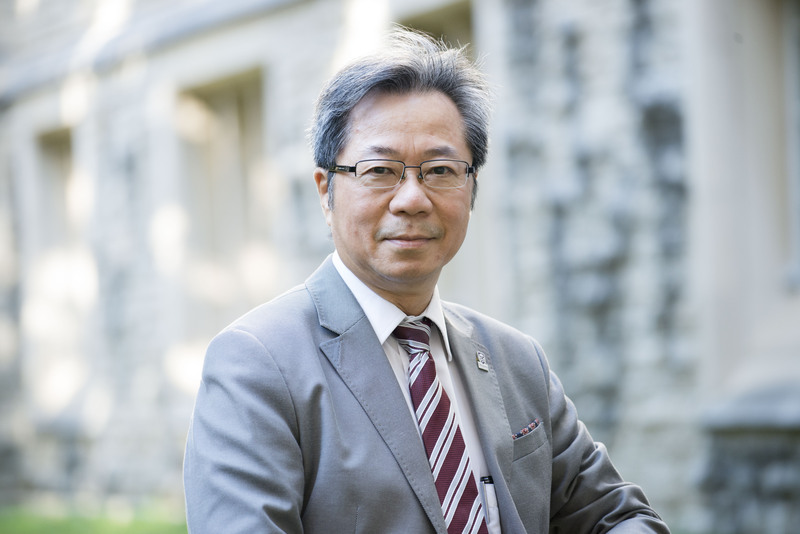 Read more in this second of a series of Q&A’s with the School’s Acting Dean – Dr. Davy Cheng. What are you looking forward to in 2019 as the Acting Dean at Schulich Medicine & Dentistry? First of all, I want to thank all our faculty, staff and students for their tremendous contributions and support to the School in 2018. We all know that there are some challenges in front of us, but there were also a number of great successes and I truly appreciate the continued commitment from everyone across the School. I’m looking forward to an exciting year, as we continue to work with faculty, staff and students, as well as our internal and external partners, to leverage some new opportunities and to build on the great work already taking place with our education and research missions. During the year, I hope we can align what I envision as the six I’s – Inspiration, Innovation, Implementation, Integration, Impact and Internationalization – with our strategic mandates at the School. And I’ll be encouraging everyone to consider these six I’s as they move forward with their work. We last chatted in November when you were in the midst of budget meetings. I know that you met with the University’s leadership and presented the budget. How did that go, and can you provide an update on where things stand with the budget approval? I want to begin again, by thanking all the units, faculty and staff for working together to find innovative ways to tighten our School’s budget to submit to the University. We all know that this is a difficult fiscal cycle for the University, but we will emerge from this in a strong position maintaining focus on our core mandate and strategic plan. We expect that the University will receive its final budget information from the government in the early spring and we anticipate that we will have confirmation back from the University on our budget sometime in February or March. What are some of the top priorities you will be focused on with the teams in February and March? There are a number of priorities, as we continue to build for a successful future. We are continuing with the ongoing recruitment for a number of departmental Chair and Chair/Chief positions. We are also preparing for accreditation for the postgraduate medical education programs, and we are continuing to work on strong integration with our partners in our distributed medical education programs. Significant time and attention is also being spent on the Doctor of Medicine curriculum renewal. And we continue to be focused on how our School can achieve goals established within the Diversity, Equity, Inclusion and Cultural Safety statements. This, of course, is above and beyond all the great research and education priorities that takes place on a daily basis at the School. Can you provide an update on the hiring of the Vice Dean and Director of Schulich Dentistry? Dentistry is a major priority for the School and the University. We continue to work through the renewal of the dental school using the Dentistry 2016-2026 strategic plan as our guide. Currently, we are in the midst of the second round of interviews with some outstanding candidates from Canada and the United States for the position of Vice Dean and Director. And we are looking forward to the outcomes of those interactions. The School is also continuing to invest in the recruitment of new faculty for various specialties within Dentistry. What events and activities are coming up that faculty and staff can engage with? Top of mind for me is the Awards of Excellence program. These awards celebrate the contributions of faculty and staff, and provide a wonderful way for us to recognize our peers. I encourage everyone to give some thoughts to who they can nominate and then be sure to join us for the celebration dinners. As in the past, we have two celebration dinners – one in Windsor and one in London. At the end of April, we are also once again hosting London Health Research Day. This annual event, planned in partnership with Lawson Health Research Institute, showcases the research being undertaken by our graduate, postdoctoral and postgraduate trainees. I hope many faculty members will consider participating as judges this year, and joining us throughout the day. We have to ask, did you make any new year’s resolutions for 2019? I don’t often make resolutions, but this year I would like to become more social media savvy in communication. So, I’ll let you know how that progresses and whether or not I’ve kept my resolution.